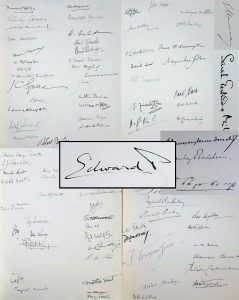 Q: What features the signatures of 167 distinguished individuals, including Nobel prize winners, Pulitzer prize winners, prime ministers, presidents, a surfeit of sirs and other titular honorifics, generals, admirals, air marshals, sculptors, painters, novelists, cartoonists, historians, journalists, poets, composers, and architects? A: The 40 items in our new Extra Ink! Catalogue. 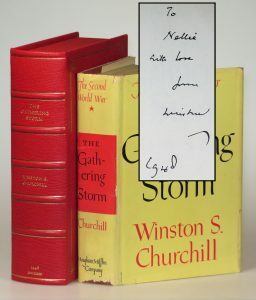 The items in which you will find these signatures are nearly as diverse as the signers. 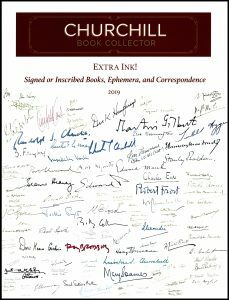 This catalogue includes books, correspondence, and ephemera, the latter ranging from dinner menus to contract negotiations to encaenia programmes. The commonality among the diverse items in our new catalogue is the “extra ink” – the indelible mark of a human hand beyond what was merely printed or typed. 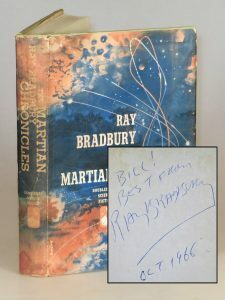 Each item features at least one autograph signature, sometimes more than just one signature, and often more than just a signature – ranging from inscriptions to hand-corrections to holograph letters. All 40 items are new to our inventory. 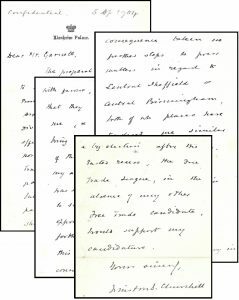 They span the breadth of the twentieth century, with publication dates from 1899 to 2007. 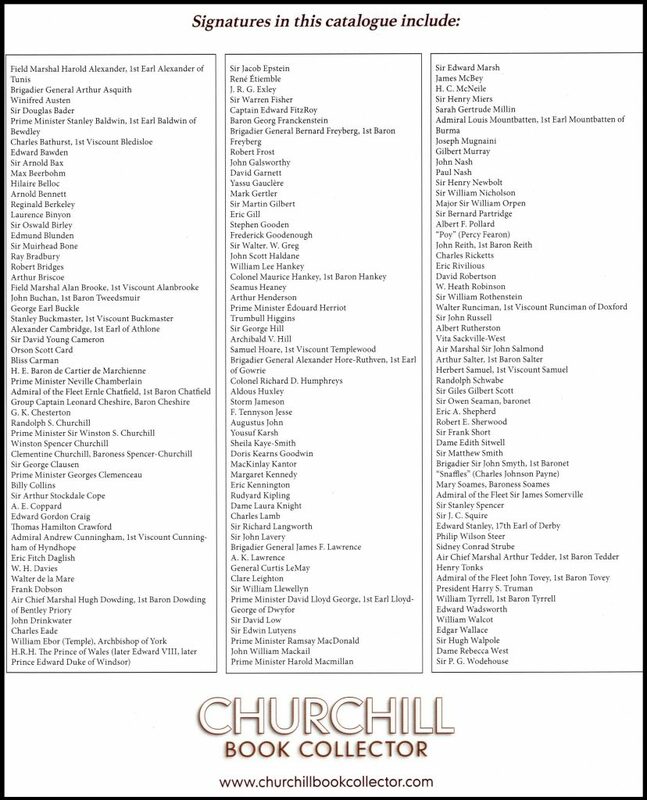 Given our specialty, of course Winston S. Churchill figures prominently, but he is in good company, both myriad and manifold.